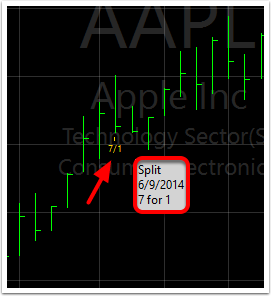 A split marker indicates where a stock split occurred for the active symbol. Hovering your mouse cursor over a split marker will display the split date and ratio. 2. 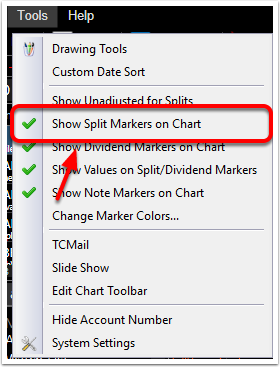 Select Show Split Markers on Chart. 3. Turn the Split Markers on or off by placing a green check mark next to this option. 4. 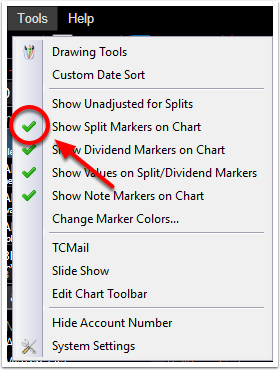 With split markers visible hover your mouse over them to display more information about the split.